TransPacific Energy (TPE) is a high-tech corporation that designs, builds, owns, operates, sells and installs proprietary, modular Organic Rankine Cycles (“ORC”) utilizing multiple environmentally sound and low GWP refrigerant mixtures. TPE uses enhanced heat transfer techniques and direct heat exchange to maximize heat recovery and efficiently convert waste heat directly from industrial processes, solar, geothermal, biomass and landfill into renewable electrical energy. TPE technology offers inexpensive and environmentally sound energy. Our technology offers an alternative to cooling towers, steam condensers and uses heat released to generate electricity. Each refrigerant mixture is custom formulated and developed to efficiently recover heat from the heat source at a specific narrow temperature range from 75 F to 950 F. Our ORCs are equipped with air-cooled or water-cooled condensers. TPE™ uses multiple component fluids that differ from other typical Organic Rankine Cycles that use binary cycles together with organic fluids such as pentane, isobutene, butane, propane, R 245fa and ammonia. These organic fluids are extremely volatile; some are explosive making them unsafe and unsuitable for most practical applications. Count on TransPacific Energy's efficient waste heat recovery system for clean renewable power generation using propriety technology. In addition to the above applications we offer thermal storage and power generation using warm ocean waters as well as desalination. 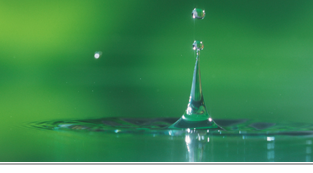 TPE delivers innovative solutions for a cleaner greener world. Let TPE's green energy conversion technology help you reduce global warming. TransPacific Energy is actively diversifying it's activities in renewable energy area with or without our highly efficient integrated ORCs; Solar PV and Thermal Solar/CSP, Thermal Storage, Biomass and Geothermal. We feature high qulity solar panels and accessories products ( UPS, PV solar panels, Battery, Inverter and Controller) from CooWone . Contact us for further details. Water/oil/air radiators and air conditioners for vehicles, trucks, and construction machinery for different applications. Industrial heat exchanger products for various industries including petroleum, chemical, food and beverage, thermal power and nuclear as well as refrigeration. Energy saving Steam Traps: Reduce boiler fuel costs, save steam, water, and water treatment chemicals, have no moving parts to maintain, are constructed completely from stainless steel, require no spare parts, testing or monitoring equipment, are guaranteed for 10 years, and not consumables and designed to be durable. TransPacific Energy has access to highly competitive and attractive financing packages for ORC installations for qualified projects through long term Power Purchase Agreement (PPA). 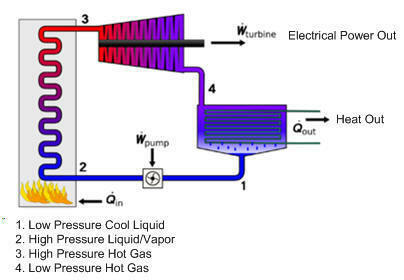 The Rankine cycle describes a thermodynamic cycle of steam heat engines (turbines) commonly found in power generation plants. Current Organic Rankine Cycles (ORC's) use pure refrigerants instead of water. However they are limited to a very narrow temperature range, usually 200ºF-300ºF and have low efficiencies. TPE employs environmentally sound refrigerant mixtures custom tailored to reduce heat losses, maximize heat recovery for efficient power production and extend applications temperature range. Most pure refrigerants cause condensation in the stack when recovering heat from flue gases. Condensation causes numerous problems in combustion exhaust streams, such as sulfuric acids and other caustic chemicals that corrode the stack and other components. TPE's custom designed systems using TPE's proprietary blends control the ORC condensing temperature, thus avoiding condensation problems.